Addressing the Dressing II: Biblically Understanding “Modesty”. Fewer words in Biblical theology have greater potential of moving large groups of professing Christian women to hate you. Fewer words in Biblical theology have more diverse associations. Fewer words in Biblical theology have more associated confusion. Fewer words get serious exploration, since everyone already knows that it means, right? So what does the word “modesty” actually mean, like in the Bible? If you look up “modesty”in your ESV, you’ll strangely come across only two occurrences: 1 Cor. 12:23 and 1 Tim. 2:9 (there’s zero occurrences of “modest”). Now that doesn’t mean that the concept doesn’t occur more frequently, but rather that the English Bible translates a Greek term as “modesty” only twice. 1. Cor. 12:23 – I’m going to set the verse within its immediate context of 12:21-26. The eye cannot say to the hand, “I have no need of you,” nor again the head to the feet, “I have no need of you.” 22 On the contrary, the parts of the body that seem to be weaker are indispensable, 23 and on those parts of the body that we think less honorable we bestow the greater honor, and our unpresentable parts are treated with greater modesty, 24 which our more presentable parts do not require. But God has so composed the body, giving greater honor to the part that lacked it, 25 that there may be no division in the body, but that the members may have the same care for one another. 26 If one member suffers, all suffer together; if one member is honored, all rejoice together. So the original language has some related terms in verses 23 and 24. The term “unpresentable” is translated from the Greek term aschemon and the term “modesty” is translated from the Greek term euschemosyne. Both of those terms occur once in the entire Bible, but they’re both derived from the term that is translated “presentable” in 12:24; euschemon . Without knowing Greek you can see the common schem component in all those words. Aschemon is an adjective (the ‘a’ on the front makes it a negative), as is euschemon . Euschemosyne is a noun. The idea is one of not just form, but demeanor/deportment. The first clause of vs. 23 (“those parts of the body we think less honorable”) suggests that those members of the church whom are not generally deemed as important need to be treated as though they were important. That means that, in a church, nursery workers and church custodians may not be as important to the operation of the church as the head of the elders, but they should not be treated in such a way. The reason for this is due to their connection to Christ, not tangible contribution to the church. The second clause (“and our unpresentable parts are treated with greater modesty“) deals less with perceived value and more with functional demeanour. I’d suggest that the idea here is along the lines of treating inappropriately behaving church members as if they were behaving better than they are: being gracious with them and not looking down on their immaturity or lack of church-appropriate decorum. In other words, when a young “rough around the edges” woman joins the church, treat her as if she was equally befitting of the social graces afforded to the more elegant and stately women of the church. I’ll say it again: the idea behind “modesty” in 1 Cor. 12:23 isn’t primarily one of appearance, but rather overall demeanour. To be clear, it includes appearance but is more than just appearance. I desire then that in every place the men should pray, lifting holy hands without anger or quarreling; 9 likewise also that women should adorn themselves in respectable apparel, with modesty and self-control, not with braided hair and gold or pearls or costly attire, 10 but with what is proper for women who profess godliness—with good works. 11 Let a woman learn quietly with all submissiveness. 12 I do not permit a woman to teach or to exercise authority over a man; rather, she is to remain quiet. 13 For Adam was formed first, then Eve; 14 and Adam was not deceived, but the woman was deceived and became a transgressor. 15 Yet she will be saved through childbearing—if they continue in faith and love and holiness, with self-control. The term “modesty” is actually translated from an entirely different term, but we’re going to look at the blanket category before getting to the specific word translated “modesty”. The woman that Paul is mentioning is one who has different clothing than unregenerate women. Their apparel should be “respectable,” and “modesty” is one of two ways Paul explains what he means. The term translated “respectable” is kosmios and it occurs only twice: once with regards to men (1 Tim. 3:2) and once with regards to women (1 Tim. 2:9). The term kosmios comes from the root kosmos, which is a very common term in the New Testament and usually means “world”. 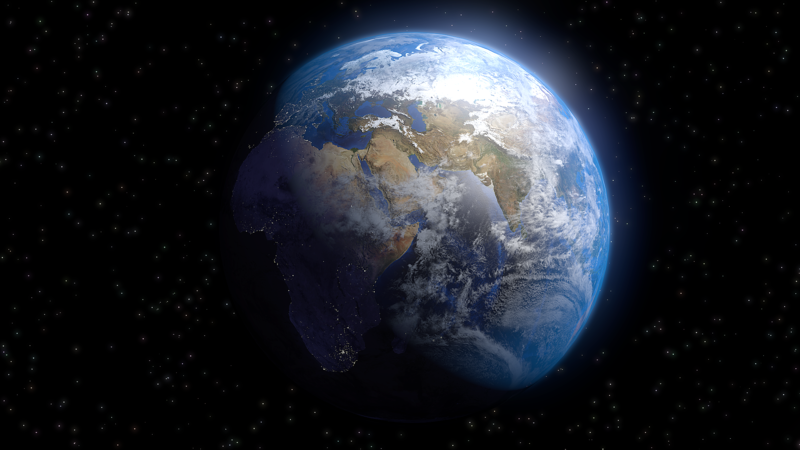 In John 3:16 it says “for God so loved the world…” and “world” is translated from kosmos. – Bratcher, Robert G. “The Meaning of Kosmos,“World”, in the New Testament.” The Bible Translator 31, no. 4 : 430-434. All three of those articles will provide ample background and further sources that will give a rather meticulous account of the history of the term kosmos (but you’ll need some sort of access to online journal databases to read them). So what does 1 Timothy 2:9 mean? Respectable Apparel – The idea here is one of “orderly” apparel; clothing that is well-fitting or “proper for women who profess godliness” (1 Tim. 2:10). The Greek term here is kosmios (there’s a clever word-play here by Paul, given the previous term). This is the overarching category that Paul holds up as exemplary for the women in Ephesus. So what does “respectable apparel” look like? The idea is not one of being a doormat or some sort of quiet mouse of a woman, but rather being one who shows appropriate honour to those to whom it is due. self-control – The term here is translated from the Greek term sophrosyne . The term is the noun form of the adjective sophron, which carries the idea of grabbing the reins of one’s own passions and desires; having oneself under restraint. braided hair -literally “woven hair”. The Greek term is plegma and only occurs here in the New Testament. costly attire – The term “costly” is translated from polyteles, which only occurs here, Mark 14:3 and 1 Pet. 3:4. It’s interesting that in 1 Pet. 3:4, the contrast is between external adornment (“ braided hair and gold or pearls or costly attire“) and internal adornment (“a gentle and quiet spirit“). That internal adornment is what’s “costly” (polyteles), but it’s costly to God (“which in God’s sight is very precious“). Well, not entirely (remember that I warned you that I’m a guy, right? That joke was too hard to not make…). So here, we finally get to talk about clothes. The term “attire” is translated from himatismos and basically refers to one’s “array” or “apparel.” It occurs fairly infrequently in the New Testament: Matt. 27:35; Luke 7:25, 9:29; John 19:24; Acts 20:33 and here. The meaning is pretty simple. It means “attire”, as in “clothes”. Now we’re getting somewhere concrete, right? Paul’s basically saying “don’t dress like a skank,” right? The “costly attire” seems straight-foward: clothes that are expensive. But what did braided hair with gold and pearls indicate in ancient Roman culture? Why would any God-fearing woman willfully dress in a way to knowingly advertise that she was a prostitute, or at least a woman of loose morals, in the early church? Excellant! Thanks for all your hard work doing these, brother. What a build up! I can’t wait to read “the rest of the story”. Will this series be available in its entirety in a single document at any time in the future? I will eventually put together a document…but that will take a bit of time and editing. Think spring. Thank you… I appreciate your work in theological study and writing! God Bless! You shared a lot here. What is the author’s purpose for Chapter 1? The title says, “Addressing the Dressing II: Biblically Understanding “Modesty”. This lack cohesiveness as you were all over the place and did not stick to your topic. I get you wanting to explain Greek terms but how many Greek terms are needed to express the main idea and what you want your audience to gleam from your message? I hope the next message ties this up somewhat. The purpose in post #1 was to set the stage for the issue. The purpose of the dealing with the Greek terms in post #2 was exegetical. I was working through a text and explaining it, based on an understanding of the original language. I spent most of my time on 2 terms, and then made passing reference to a few others. The relevance was in how the main terms, which are the 2 terms translated “modesty” in the ESV, were set up in their corresponding passages. That’s kinda how exegesis works. I’m not really sure what else to say. Praying does not seem to be a word that you use. Trusting in God and believing in His word does not seem to play a big part in your writings either. Perhaps it is time to stop writing and start praying for the actual understanding of Gods word instead of trying to reason and rashion out what the and where every single word comes from. Sometimes God just wants us to listen to him instead of talking all the time about what we believe to be His truth. Our words seem to bring about every disobedience of others who feel the right suddenly to speak against the doctrinal teachings of the desciples of Jesus Christ. This perhaps will Hameln you to understand who Simon Peter really was. He was not a man who felt worthy of the attention of Jesus. Jesus saw something in Peter that he lived so much so that any time he addressed Peter he did it by calling him Simon. The desciples carried the message of Jesus. Jesus himself said, “Thou art Peter and upon this rock will I build my church”. Peter was not an educated man by standards. Perhaps God chose him for this reason. Educated people are always going on about their education. Educated people perhaps know so much that there is no room in their minds for what the truth of Jesus can actually do. In other words they are so busy writing what they believe, they have no room for what God intends for them to believe. I truly believe that knowing the origin of a word is important but often I see people exhausting a word until it means what they want it to mean. We don’t often believe we are wrong until we pray and seek the word of God. Some text mess ups but you can understand. After all you are a well educated man of theology. I pray that you will come to the whole truth, because I believe in many things you believe in. I just don’t feel that you truly respect the Word of God.